On occasion, have you overheard any of these comments from your family after home evening? All of our pursuits need reevaluating occasionally. If you feel that your family’s interest in home evening is sagging, why not try something different? As a beginning, take turns conducting. Even your smallest children may enjoy this experience. When they call on someone to pray or when they can choose a song or the refreshments, they feel like important members of the family. Many parents are reluctant to try new ideas because they feel unsure of themselves. For many it is simply “too much trouble,” and they fall back into their same old comfortable presentation. 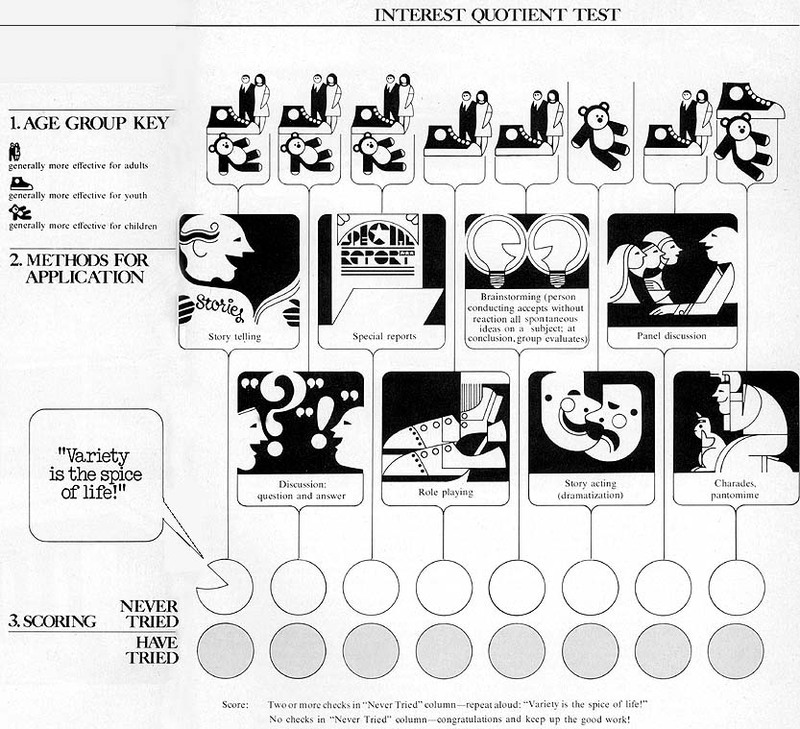 Your family’s “I.Q.” (Interest Quotient) might be raised by following the different approaches to teaching suggested in the home evening manual. You may find still other ideas that will appeal to the age differences in your particular family. A common complaint of teenagers is that many of the activities are too childish. This might be remedied by letting your young people help in planning home evenings. Their interest will probably pick up in direct proportion to their feeling of responsibility. One method that has special appeal to teens is role playing. One need not be a professional teacher to get the family engaged in this problem-solving method. Suppose, for example, that you have a problem involving two teenagers who do not come in at the agreed-upon time. Mother and Father wait up for the first to arrive, and the three of them wait for the next one to return. The four of them then have a discussion of the possible solutions to the problem. Describe this situation to your family, then ask two of your teenagers to play the parts of the parents. The parents are cast as the teens. This method, unrehearsed and often spontaneously honest, has solved many a home problem. By pretending to be someone else, a person tends to see another’s point of view. There is usually a bit of humor generated that can often forestall ill feelings and expressions of hostility. Story acting, or dramatization, is very effective with young children. One family used this method in a home evening built around the idea of loving one’s neighbor. Instead of telling the story of the good Samaritan, the father read it from the Bible, then asked the family to dramatize it. He assigned the parts, and family members acted out the story. It was such a success that for many weeks thereafter the little children insisted on dramatizing the good Samaritan at the beginning of every home evening. Each had a turn playing the various parts. When there is variety in your home evenings, family members learn better, are more willing to participate, and retain longer those principles being taught. Examine the following list and determine whether there are methods appropriate for your particular family that you have not yet tried that would enhance your home evenings and keep the interest high. Check those you have used and those you have not.